If you're going to play through this amp, be warned: you'll have to narrow your favorite tones down to, say, a few hundred. 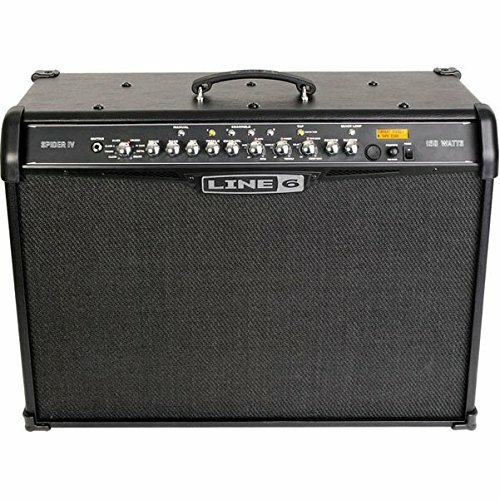 That's right; Line 6 packed over 300 signature tones from a who's who of rock giants into the Spider IV 150 combo amp! You won't believe how amazing this 150-watt tone monster sounds — or how easy it is to dial in the amp sounds and effects you want. Cruise among the coolest 16 amps on the planet with the turn of a selector knob. It may seem impossible, but this very gig-worthy, very portable 2 x 12" combo has everything you need, right onboard!